Unfortunately, this probably already happened to you: you’re listening to some French, and then you hear something you don’t understand, and your brain freezes. Full stop. And you miss the rest of the sentence. 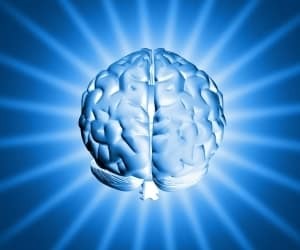 “Rewinding” a natural brain response. The brain hears sounds that it then transforms to get the message. So when it misses a bit, it “rewinds”, trying to recall what has just been said, then catches on. And if it couldn’t hear well, it just guesses. Now, most French students do something else. They add 2 phases. Some of them even visualize the words written in a sentence before translating it. This requires a huge effort. And the brain cannot go through this process AND hear and process the rest of the sentence. This is why students often “freeze”. First, when you are memorizing new French vocabulary, try to link the French words to images, feelings… not to the English words. Most of the time, you do not need to translate – it certainly works for basic concepts. “Un chien”: see the dog in your head instead of thinking “a dog”. 4 – Focus on the Context… And Guess! When someone asked “tu veux du thé?” (would you like some tea?) if you’re seeing what happens, you don’t really need to hear the question… You can pretty much guess it. Guessing is a huge part of fluency! Some time ago, I was in a car with my American friends. We had been speaking English all day, and I was jetlagged and tired. We were driving in the middle of the countryside, near Seattle. I was saying how pretty the landscape was: that day “the mountain was out” and the view was just amazing. She said: “Wait till we go up the hill, then you can see more”. I heard: “Seymour”, and my brain immediately went to a giant carnivorous plant… Like in “The Little Shop of Horrors” (I have no idea why! I’m not even a fan!!). I knew it couldn’t possibly be what she said. “Seymour” had nothing to do with this context. So I went against my ears. I let go of the evil plant image… and stayed focussed on here and now. It was very difficult to do! But I was able to hear what she said next – it had still something to do with the view being so pretty. I actually told her what had happened to me, she was able to repeat her sentence which I then understood, and we all had a good laugh! Did this happen to you? I’d love to hear your story: please share it in the comment section below! 6 – What if You don’t Understand Something? If you don’t understand something, well, let it go… focus on staying in touch with the flow of the conversation. Chances are that the rest of the sentence will give you enough info to “fill in the blank”. 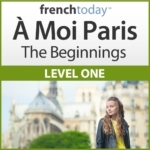 And if it doesn’t, then it will be time to say “je n’ai pas bien compris” (I didn’t get it all).